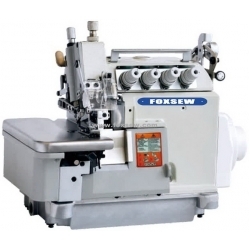 FOXSEW Direct Drive Top and Bottom Feed Super High Speed Overlock Sewing Machine EXT Series. Application: Clothing, underwear, bedding and thin package and leather goods’ overlap sewing. This machine series is using the new feed mechanism that using upper and lower feed dog which operate independently. 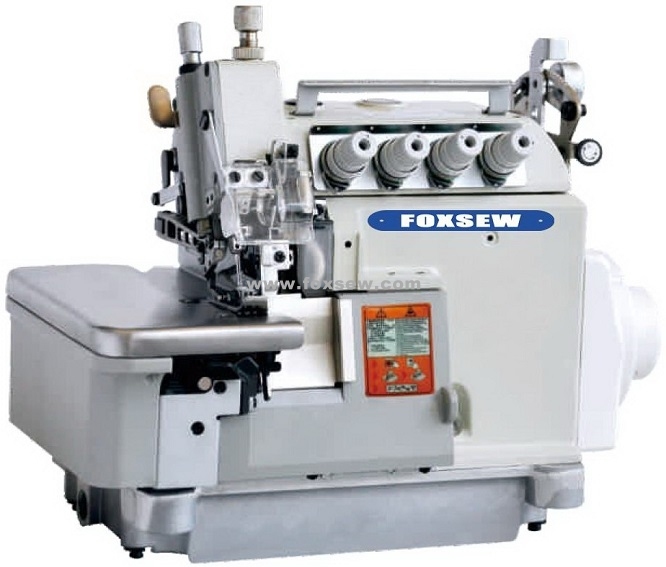 By increasing the differential feed ratio and superior combination of properties, this machine can eliminate dislocation when sewing. Also this machine can easily combine different materials, and make the difficult operating such as zigzag feed easier. 1. Top and bottom feed dogs on the variable top feed machines provide for positive and accurate fabric feed. This feature prevents twisting of the fabric being sewn, achieving high quality production.